Yellowstone Lake is the largest lake in Yellowstone National Park. 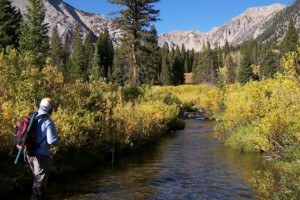 Its northern shore is easily accessible and nearby activities include boating, hiking, fishing, camping, and lodging. Yellowstone Lake is the pre-eminent source for Yellowstone cutthroat in the Park. We'll help you locate and catch these beautiful fish. 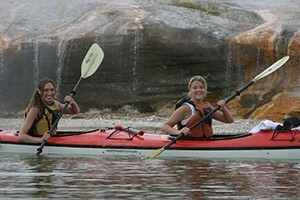 Everyone loves our 3-hour guided kayak tours that depart 3x daily (6:30am 9:30am & 2:30pm). 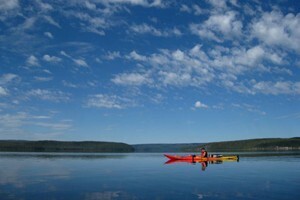 Click to see what it's like by viewing our video on kayaking Yellowstone Lake. Premier guide service for over 40 years! 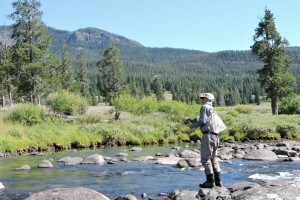 Most area rivers are blown out with runoff - We are offering spectacular fishing on The Firehole River & Lewis Lake in Yellowstone NP! Yellowstone Lake has so many avenues of adventure. As in-Park concessionaire, we offer boat rentals, lake cruises, guided fishing adventures and shuttle service. Come see. What can I do and see at Yellowstone Lake? 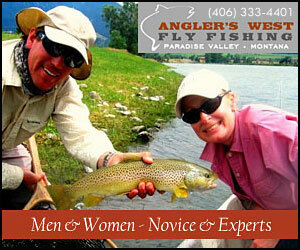 Boating: Take a scenic lake cruise or a guided fishing trip. Or rent a row boat and cruise the shoreline. Kayaks and canoes are a popular way to explore the lake as well (especially if you are planning on staying at a backcountry lakeside campsite). Not that kayak and canoe rentals are not available within the park. 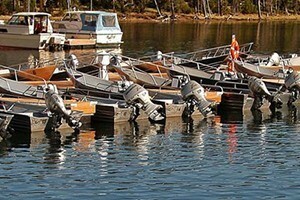 The Bridge Bay Marina offers scenic lake cruises as well as row boat and motor boat rentals. If you bring your own boat, you'll need to acquire a boat permit. Call Bridge Bay Marina with questions: 307-344-7311. 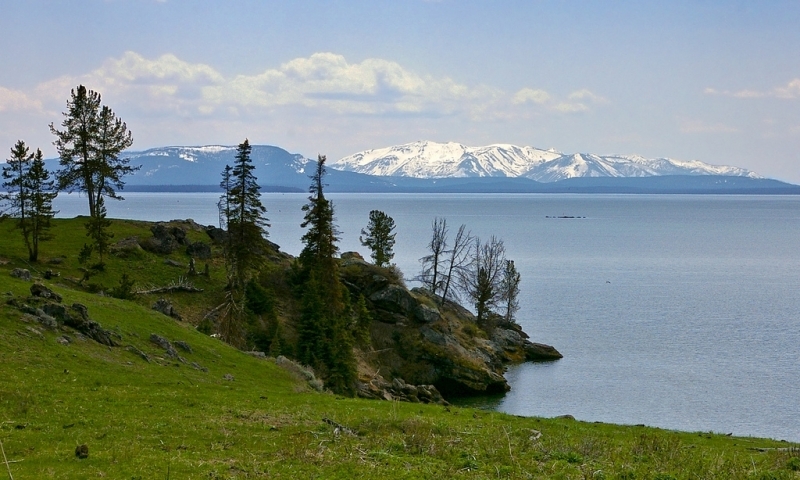 Fishing: Many visitors enjoy fishing the deep waters of Yellowstone Lake. Note that a fishing license is required. 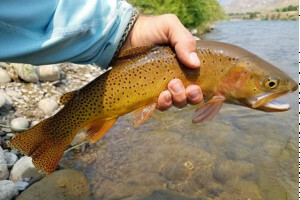 Cutthroat trout are catch and release only. 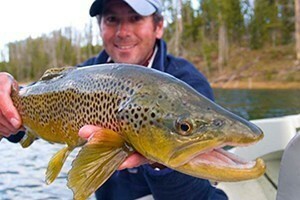 Lake Trout must be killed if caught. The areas around Fishing Bridge and all marinas and developed shoreline is closed to fishing. Hiking: There are a number of hiking trails easily accessible from the lake's edge. Take your pick from trails at Lake Village and West Thumb. 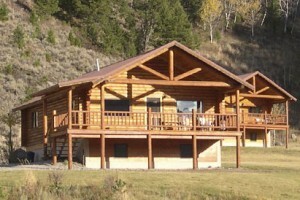 Camping and Lodging: Lodging is available at Grant Village, Lake Lodge and Cabins, and Lake Yellowstone Hotel. Campgrounds can be found at Bridge Bay, Fishing Bridge, and Grant Village. As the largest lake in the park, it's hard to miss it. The lake is located in the southeast corner of the park and is easily accessible along the West Thumb-Fishing Bridge Road. When is the lake accessible? Park roads that access the lake close for the winter season in November and reopen in May. 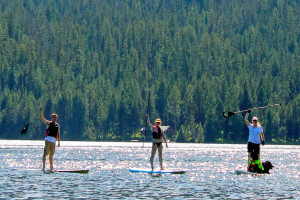 Plan your Montana vacation to include Flathead Lake, the largest freshwater lake in western United States. 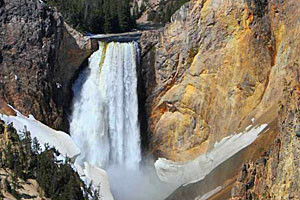 This is a popular recreational hub for boaters, anglers, and 2nd home owners, just west of Yellowstone. Lake formed by an earthquake and landslide on the Madison River.